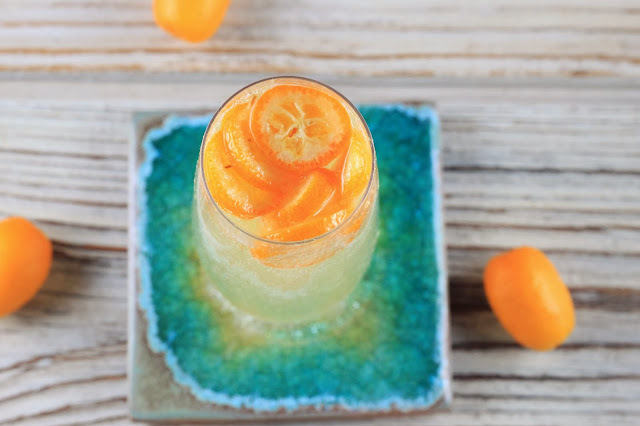 If you’re looking for a slightly special cocktail to celebrate a festive occasion, you can’t go wrong with this incredibly easy and refreshing kumquat champagne cocktail. This is the ideal cocktail to make if you’re looking for that wow factor. Kumquats are so pretty that simply slicing the little fruits and dropping them into a glass has an instant effect. This is a great cocktail for the festive period, and an ideal choice for New Years Eve in particular. The kumquat represents prosperity in the Chinese tradition, and supposedly anyone who eats kumquat during the new year will be insured good fortune, prosperity and happiness. Strain liquid through a fine mesh strainer.